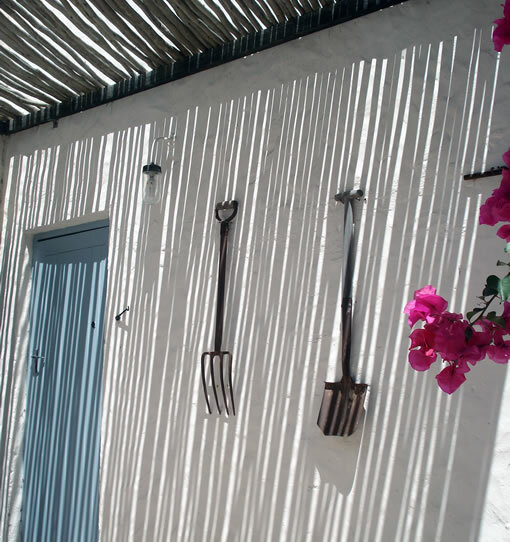 Accommodation in Langebaan: Calimera Self Catering. 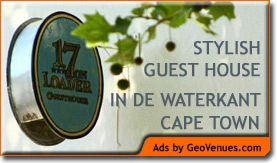 You are here: Home / Western Cape / Langebaan / Accommodation in Langebaan: Calimera Self Catering. Calimera is a self-catering holiday house in Langebaan, on the West Coast of South Africa (about 90 minutes drive from Cape Town International Airport). 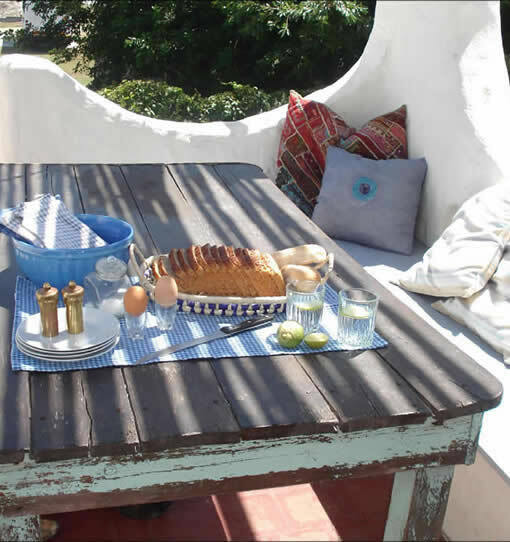 The house has an easy, Mediterranean feel, with each room opening on a back stoep and enclosed back yard. Calimera has four bedrooms and two bathrooms. There are two bedrooms with a double bed each and two rooms with two single beds each. White percale bedding and soft bath towels are supplied. There is a lounge upstairs with build in fire place and good views of the Langebaan lagoon. There is a TV and DVD player available, but guests need to take their own DSTV card to use that facility. The stoep offers great views as well as a build in braai and seating area for easy entertaining. Calimera has a well equipped kitchen, with stove, microwave, kettle, toaster and dishwasher. The kitchen has all the necessary cutlery and crockery.